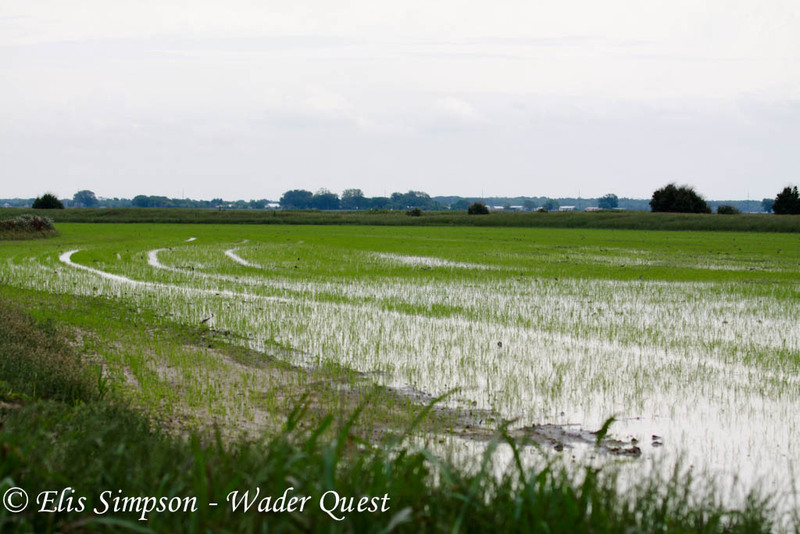 Last year Elis and I spent a very enjoyable few days in Louisiana looking for wader or shorebirds as we were encouraged to call them there. 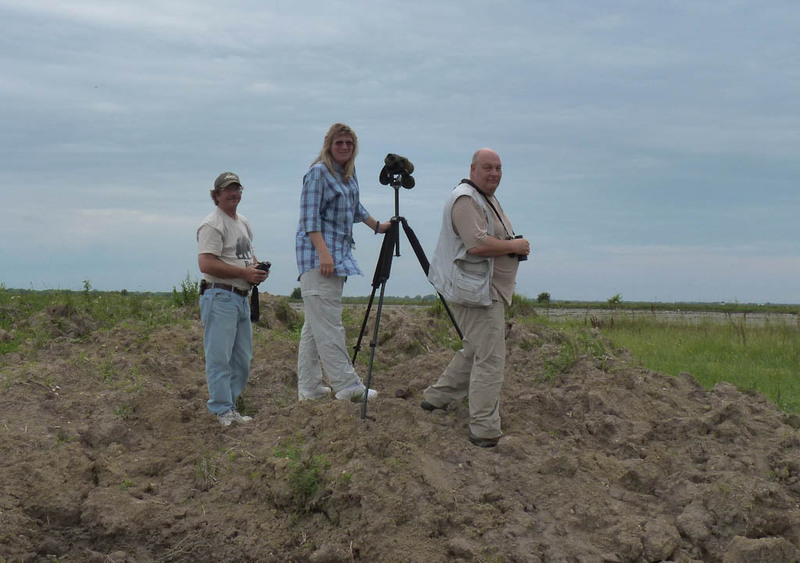 One of the days was spent with Steve Cardiff and Donna Dittman who every year organise a Shorebird Blitz during the spring migration to count the waders in the region, and event that one day we hope to join in with! Steve Dona and Rick, Louisiana April 2013. As usual, we covered the area from I-10 south to Hwy. 14, and from Lafayette west to Welsh/Lacassine Bayou. The area is subdivided into 4 major sections from west to east and, when there are enough observers, the larger chunks are further subdivided into more manageable portions. This year, we had 15 observers split up into 8 parties generating 82 party-hours and 628 party-miles of coverage. Weather was good- mostly clear, mild to warm, with light-moderate SW winds. shorebirds, are estimates of breeding open country landbirds such as raptors, Eastern Kingbirds, Loggerhead Shrikes, and Eastern Meadowlarks. American Golden Plover Pluvialis dominica; Louisiana April 2013.
shorebird numbers have suddenly plummeted- it's more "luck of the draw" as to whether the day we picked coincided with a pulse of migration or an ebb in migration. The weather on 4 May was not particularly favourable for "grounding" northbound migrants. Wilson's Phalaropes Phalaropus tricolor; Louisiana, April 2013. Most numerous in terms of absolute numbers were Lesser Yellowlegs (about 5700), Dunlin (about 5400), Pectoral Sandpiper (about 4200), and Long-billed Dowitcher (about 4200; but seems low). 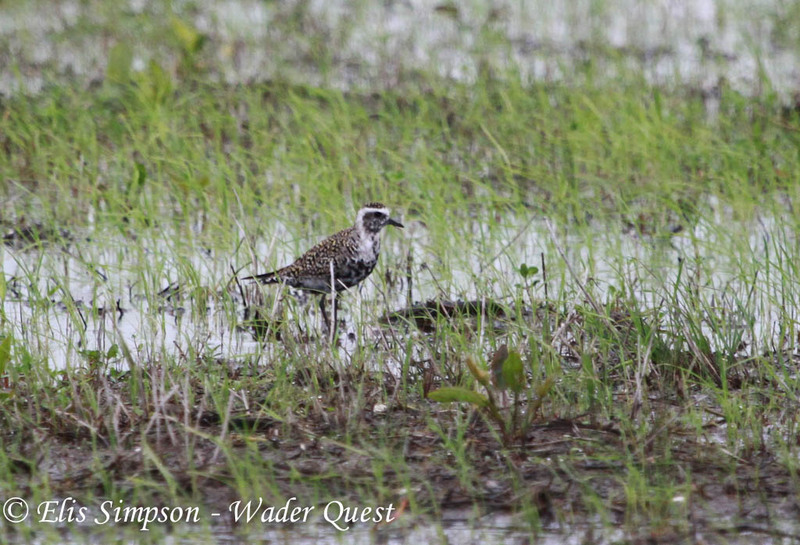 Relatively high numbers were recorded for Black-bellied Plover (778), Semipalmated Plover (2021! ), and Wilson's Phalarope (1179). Other species that seemed unusually scarce were American Golden-Plover (about 300), Stilt Sandpiper, and Semipalmated Sandpiper (only about 2000 of each). 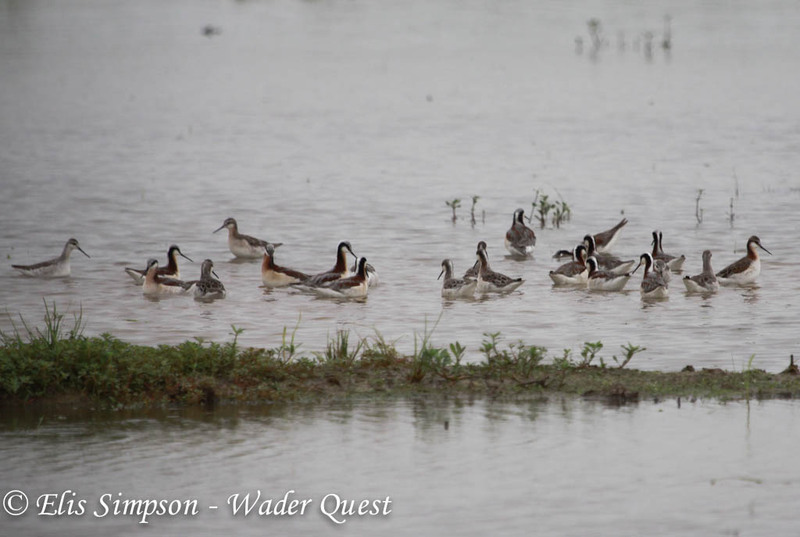 Other species of interest included American Avocet (4), Willet (1), Upland Sandpiper (74), Hudsonian Godwit (33), Ruddy Turnstone (71), Baird's Sandpiper (6), and Buff-breasted Sandpiper (160). Cave Swallows Petrochelidon fulva; Louisiana, April 2013. 1980's-1990's I'm pretty sure the "rule of thumb" for shrikes in this area was about 1 per mile. This bird is in big trouble. I suspect that cowbirds have probably decimated the Orchard Orioles in the region. No idea what's impacting kingbird numbers, but the situation warrants investigation. Cooper's Hawk's seemed to be on the increase as a breeder in SW LA, but my gut feel is that they have suddenly declined- bears watching. Orchard Oriole Icterus spurius; Texas, April 2013.
sponsored by Avian Events Support Team (AVESTEAM).